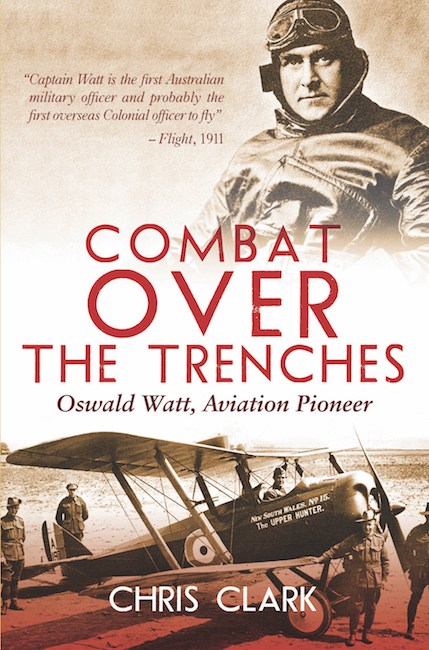 Originally published in Australia as The High Life of Oswald Watt; Australia’s First Military Pilot (Big Sky Publishing Pty Ltd) this Pen & Sword reprint brings a hugely important Australian aviator to the world stage. And, while the new title Combat Over The Trenches sounds like a a ripping yarn of silk scarves, doped linen and sudden death, the depth and substance of Clark’s account goes much, much deeper. In a sadly truncated life, Walter Oswald Watt (‘Toby’ to his family, Oswald to almost everyone else) earned the soubriquet ‘Father of Flying Corps’. However he wasn’t one of the Australian Air Force’s 1914 founders, he never held top rank in the Australian Flying Corps during the Great War or after, and he didn’t die an exemplar death in combat. So clearly there’s a lot more to this story than meets the eye. And what this cover doesn’t let on is that inside is much more than the story of one Australian’s Great War service. It’s also a very comprehensive accounting of how Watt came to achieve all he did, and how his actions continue to resonate a century later. 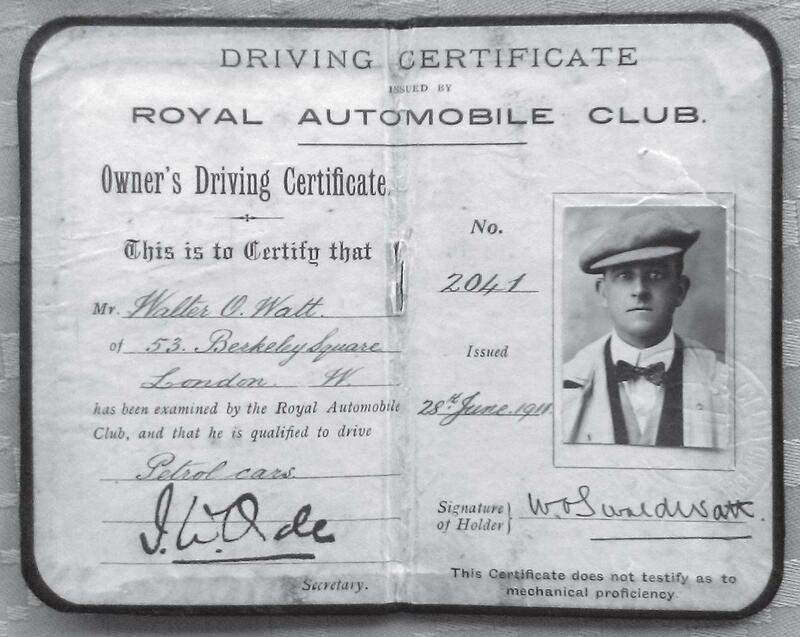 Watt was awarded Great Britain’s Royal Aero Club pilot’s certificate No. 112 on August 1st, 1911. 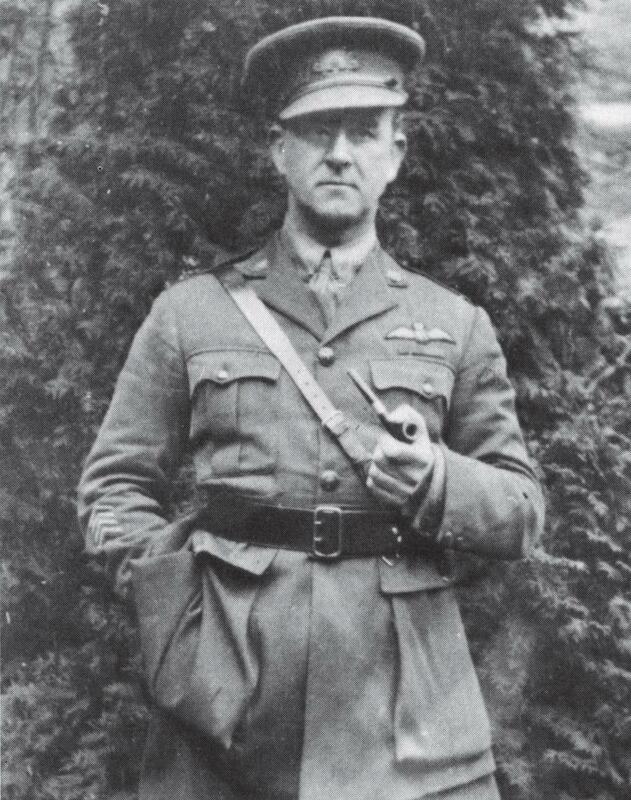 In its September 16 issue, Flight magazine noted that he was ‘the first Australian military officer to obtain a certificate, and probably the first overseas Colonial officer to fly’. As Clark is quick to point out, Watt may have been a Captain – but only on the unattached list of the reservist Scottish Rifles back in New South Wales. In reality, he had far more in common with the many other wealthy young men who were indulging in the new adventure of flight at the time. Mind you, at 33 years of age and possibly seeking diversion from an unhappy marriage, he wasn’t quite as youthful or footloose as his alumni. Indeed, Watt had already lived ‘quite the life’. His father, the Honourable John Brown Watt, had worked his way up from a poorly Scottish migrant to the top of Sydney society; a leading light in the colony’s business, social and political circles. 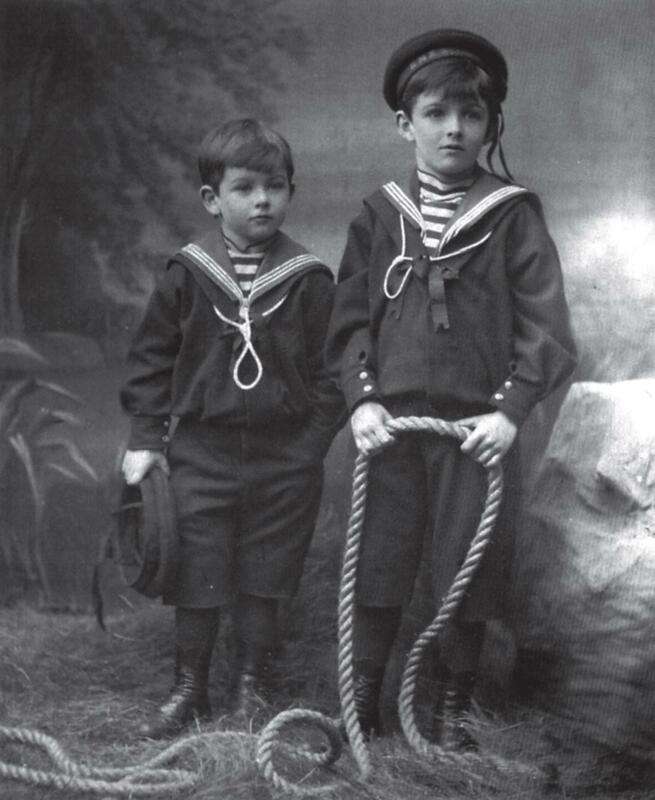 As a result, Oswald, born in England during one of his family’s lengthy ‘return’ visits, enjoyed a life of unbridled privilege at both ends of the British Empire. 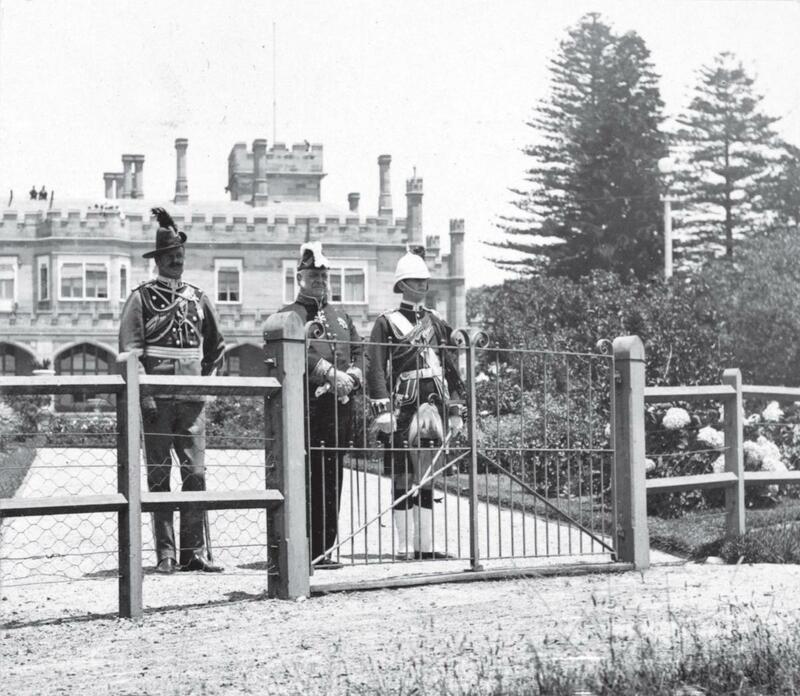 By the time he turned up on Salisbury Plain he’d had a gentleman’s military career, served as the NSW Governor General’s Aide de Camp, established himself in business and spent a good 15 years on Australia’s A-List. For me, that’s the real genius of this account. Clark builds up an immersive picture of Watt’s entire world, not just his life within it. This exhaustive research, which must have included a mountain of newspaper society pages, covers the general, the trivial, and the very personal. Along the way, Clark corrects numerous long-standing errors and assumptions about Watt’s life. And then the narrative, like the entire Edwardian world, is overtaken by World War I. 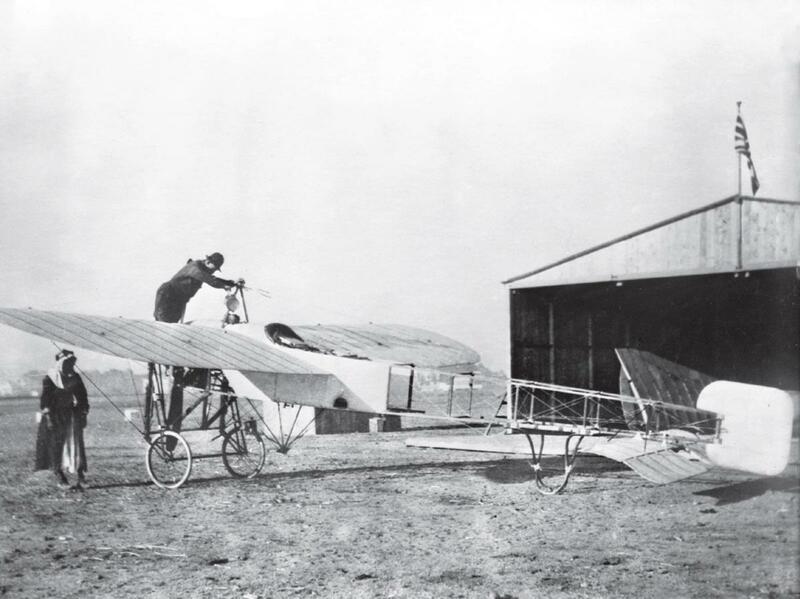 In late 1913 Watt, recently divorced – and some $4–5 million (in today’s money) lighter as a result – found himself at the Heliopolis flying field outside Cairo, Egypt. 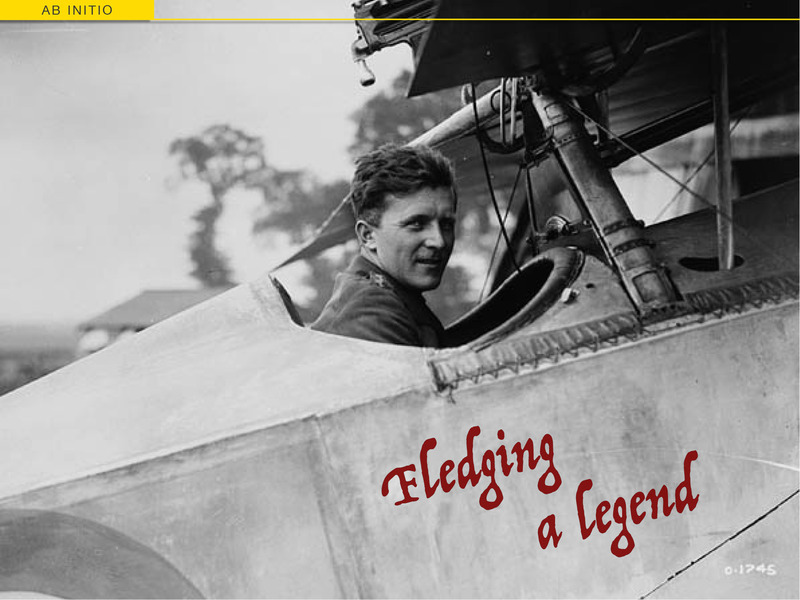 There he ordered the C-172 of its day, a Bleriot XI, and finally took up flying in earnest. 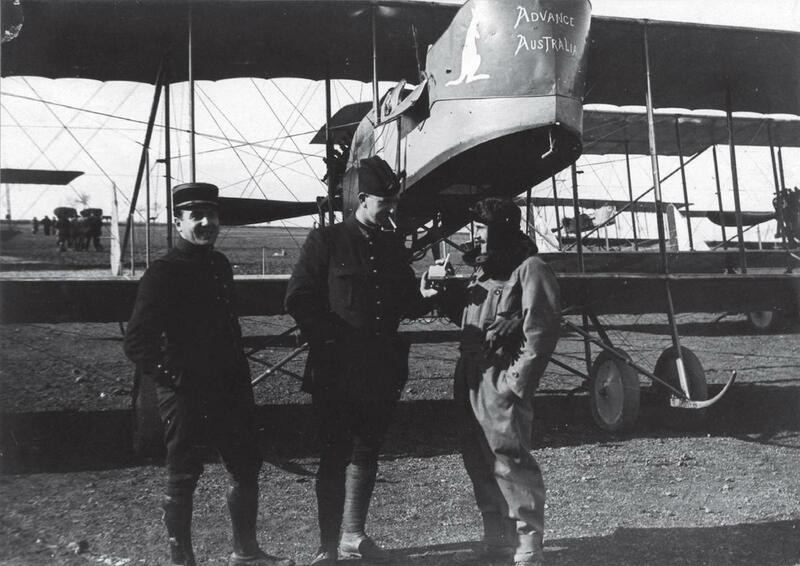 By July 1914 he was a test pilot for the Bleriot works at Buc, near Paris. And when France and Germany formally declared war on August 3rd, Watt had already volunteered himself and his Bleriot into the Aviation Militaire section of the French Foreign Legion. This almost certainly makes him the first Australian aviator to see active service in WW1 – or ever, for that matter – and as the small group of pilots at Buc coalesced into an Escadrille (squadron) then moved up to the front, Watt got plenty of action. A year later, while his ANZAC compatriots were forging their reputation at Gallipoli, Watt was flying the Maurice Farman MF.11 ‘Shorthorn’ on bombing and observations raids over the Aisnes front in France. On his own accounting he’d flown over 100 hours of combat. By August, he’d been awarded the Croix de Guerre for his ‘…great daring and imperturbable composure…’ (qualities some of his more nervous observers didn’t always appreciate!) and been wounded in the head by shrapnel. He had also decorated his personal MF.11bis with a painting of a kangaroo – making it the first combat aircraft to carry that Australian icon into battle. Then, in March 1916 Oswald Watt managed to get himself transferred to the Australian Imperial Force so he could join No.1 Squadron AFC – the first full Australian squadron to enter the War – on the familiar old field at Heliopolis. Using the venerable B.E.2c and then Martinsyde G.100 ‘Elephant’s, Watt and his squadron saw action over Suez and the Sinai. 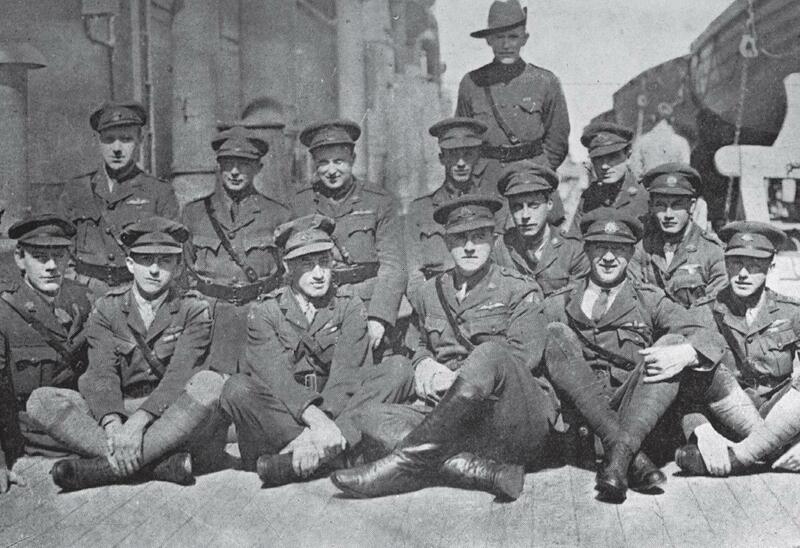 When No.1 petitioned for additional volunteers from the Australian Light Horse, they were so overwhelmed by enthusiastic cavalrymen that an entirely new Squadron was soon raised. This became No.2 Squadron AFC, with Captain Oswald Watt as its commander. As such, Watt took his new establishment to England for training, arriving at Harlaxton, Lincolnshire in falling snow on January 31st, 1917. Slated as a fighter-scout squadron, Watt’s ‘dishevelled and unsoldierly mob of light horsemen went through a long period of training before they were finally shipped to France – and action – in mid-September. Clark shares a particularly well-balanced view of Watt’s leadership style, fairly recounting his strengths, failings and inconsistencies. This deep assessment gives us a three dimensional view of how he handled such a complex and demanding role. I’m sure this nuanced detail will make Watt a profoundly real and familiar figure to every reader who has held command – and been commanded, for that matter. Unfortunately for him, official policy banned Watt, now a Major and squadron commander, from engaging in combat. He resented the order but obeyed it, instead doing everything he could to support his ‘chicks’ – from flying up to the front line with them and meeting them on their way back, to arranging special leave for men who needed it. In February 1917, Oswald Watt was transferred back to England as a Lieutenant Colonel to form an all-Australian training wing based in Tetbury, Gloucestershire. By April, with four Squadrons around him, Watt was leading the largest contingent of Australian Flying Corps airmen anywhere in the world. However he still flew – including a refresher course at the RAF School of Special Flying at Gosport, to be taught Robert Smith-Barry’s revolutionary new Gosport System of flight instruction. Still, WW1 training remained a deadly business: The AFC lost 50 pilots in training during 1918, compared with 44 in combat. And Chris Clark cites several examples of combat pilots who were assigned to Tetbury but tried every trick imaginable to be sent back to the ‘safer’ skies of France! These included Major Henry Petre, who’d first set up Australia’s Central Flying School at Point Cook in March 1914, and 29-victory ace Captain (later Air Commodore) Harry Cobby. By war’s end, Colonel Watt was the AFC’s senior commander; a position which saw him in charge of a troopship full of homeward-bound AFC veterans in 1919, and at the head of numerous marches and banquets on his return to Australia. Throughout it all, he remained privately and independently wealthy. In fact, he never drew a penny of his AFC pay. When the Wing’s pay-Sergeant pointed this out to him as operations wound down in March 1919, Watt donated the entire amount to the War Orphans’ Fund. 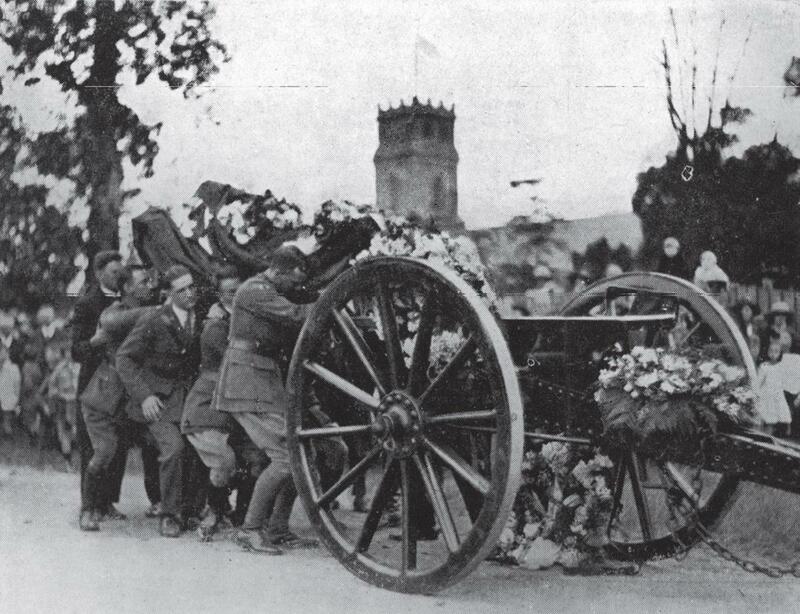 Watt was ‘de-mobbed’ on August 3rd, 1919, exactly five years after he’d enlisted in the French Foreign Legion. Along with a string of ‘firsts’ achieved in the AFC and British Commonwealth, this would have to make him one of the very few Allied pilots to see active service through the War’s full duration. The Great War probably came at a perfect time for Oswald Watt. Along with flying, it had given him a new sense of purpose after his (very public) divorce – and an outlet for the rich man’s mid-life crisis he was almost certainly heading into. So as we head into the final chapters of Chris Clark’s book, there’s a strong sense of ‘what now?’ Peacetime options included business, politics, returning to the Australian Air Force or leading the establishment of civil aviation. But for all his research, Clark doesn’t turn up evidence that Watt was particularly enthusiastic about any of them. And in the end, it didn’t matter. Relaxing after so many years of dangerous war service, Oswald Watt died in a simple accident on Sydney’s beautiful northern beaches, less than two years after coming home. Of course, the story doesn’t end with a life cut short. Clark does a masterful job of following every loose end to its full conclusion. That includes tracing Watt’s descendants and even the fates of his various properties. 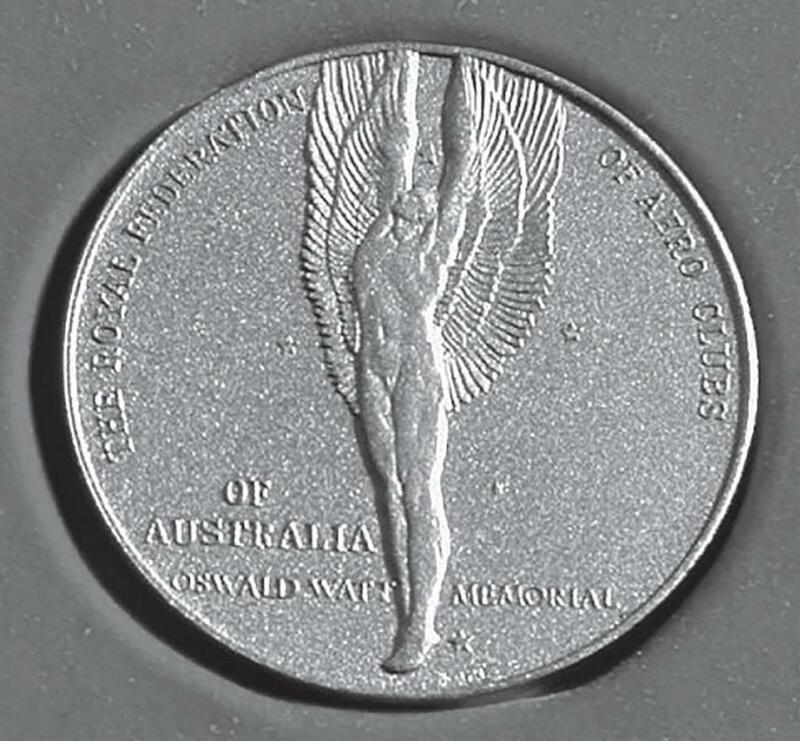 There are also a number of legacies created from his money, including the Oswald Watt Gold Medal for aviation achievements, an essay prize at the Royal Military College, Duntroon, plus bequests to Sydney University and the Australian Aero Club – all of which would help further aviation’s development in Australia between the wars and beyond. In fact the financial story seems to form the main thread of this entire, remarkable history. There is a real sense of ‘following the money’ all the way from John Brown Watt’s lowly beginnings of 1842 to the final, lingering echoes of that grand wealth today. In this regard, Oswald Watt’s substantial achievements in the Allied and especially Australian air forces during World War One are almost a counterpoint to his privileged background. Those chapters certainly stand apart, and define his life in a way that wealth alone never could. 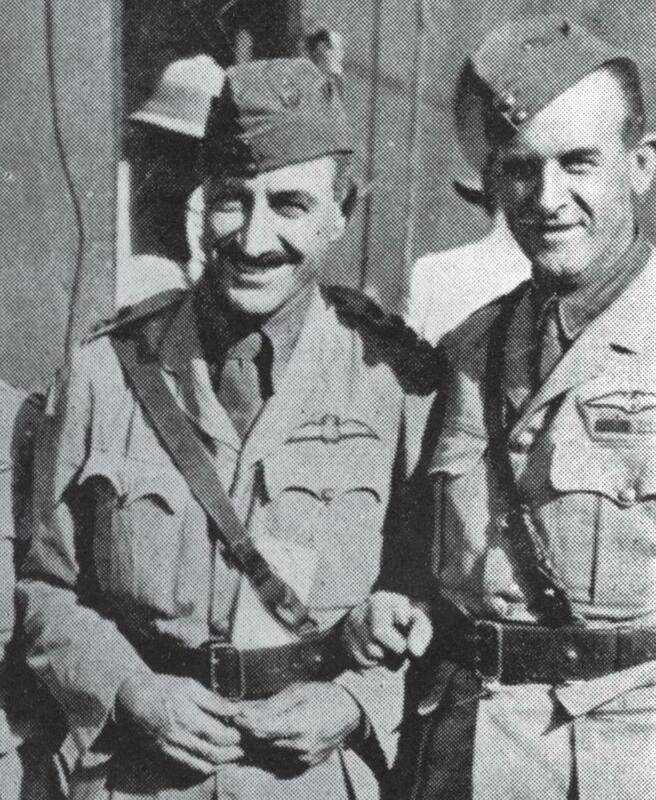 From possibly being a small entry in an old copy of Who’s Who, Oswald Watt stepped up to become an integral, unforgettable part of RAAF and Australian aviation history. As I closed Combat Over The Trenches my first thought was literally ‘what an amazing book’. And it is. Helped by his towering subject, Chris Clark has given us a well researched, well written history that really leaves no aspect of Oswald Watt’s pivotal life unexplored. I wouldn’t just recommend it. I’d urge you to read it. I wrote this review at the invitation of the publisher, Pen & Sword Aviation. 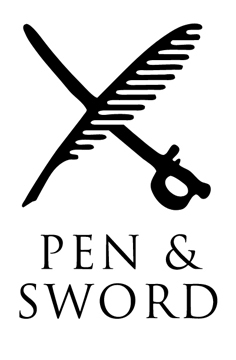 Pen & Sword were kind enough to provide a review copy of the book, but no money has changed hands and the views I’ve expressed are entirely my own. Another excellent review and, by the look of it, another one to add to the library! Yes, the amazing story of an amazing man. Watt’s life was really “made” by World War One. Until then, he’d been following the script in terms of what was expected of him – but given the chance to fly and fight, his life finally gained its purpose. And I suspect that happened a lot. I know the name, but I’ve never known much about the man. Sounds like he was really quite unorthodox from others. I love the pictures and the fact that they are so sharp. Well I’m impressed that you even know the name! Watt casts a long shadow on Australian aviation, but there are a lot of serious competitors in your part of the world. On the side note – thank you so much. And don’t panic. I know posts have been a little thin so far this year but my wider plan (and situation) is finally coming together. An excellent review thank you. He certainly sounds like a remarkable man who achieved great things! Definitely one to look out for! Thanks Andy. 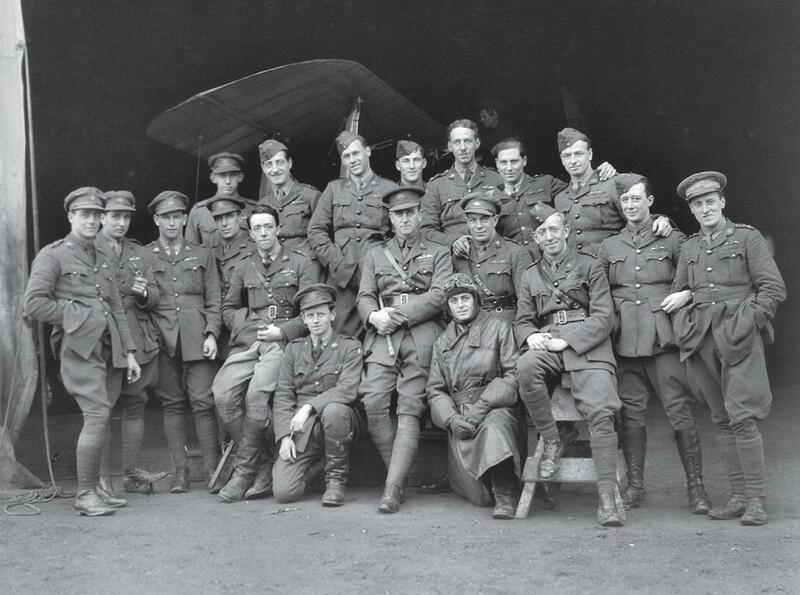 He absolutely was – and, as a bonus, Watt was an important part of some long-lost RFC/RAF fields of the Home Establishment; especially Harlaxton, and then the Training Wing fields in the west at Minchinhampton and Leighterton.